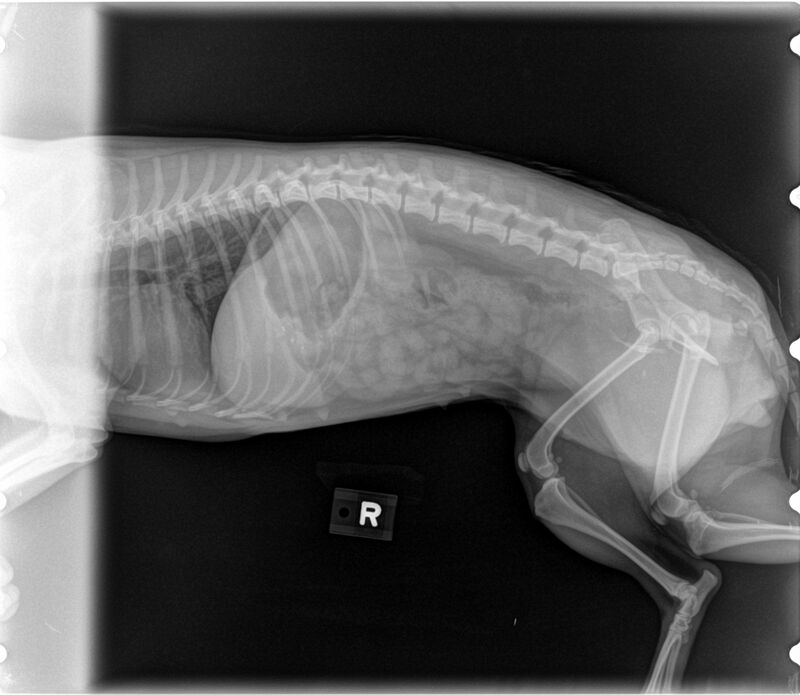 Imaging at All Creatures utilizes the latest technology in Computed (CR) and Direct Digital(DR) systems to generate diagnostic "X-Rays" or radiographs. We can see what lies beneath skin and hair to visualize your pet's bones, organs, and teeth to give us the best diagnosis to formulate our treatment plan. We can confirm our accuracy in diagnostics through our electronic imaging email service. Your pet's images can be electronically sent within minutes to several of our board certified veterinary radiologists. They return a diagnosis to us so we can provide exceptional quality of care. 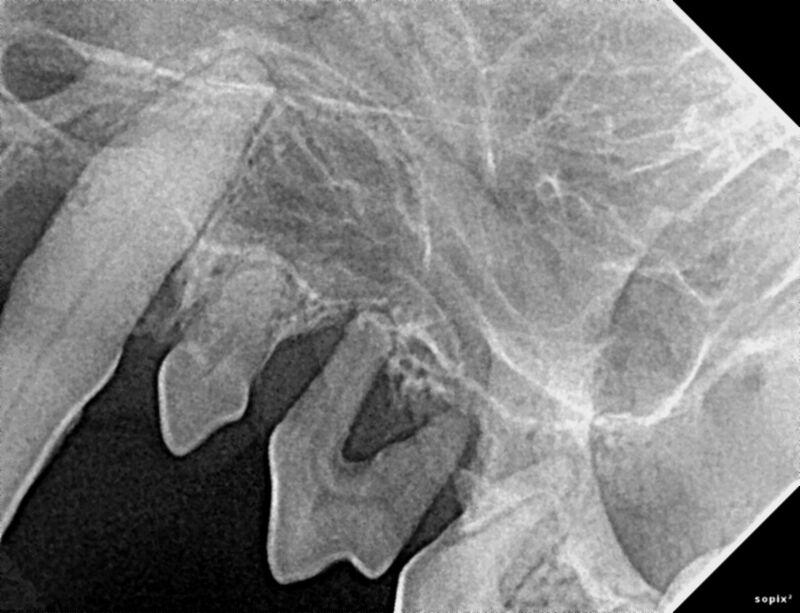 Radiography is a valuable tool for identifying hidden dental and oral disease and determining appropriate treatment. Nearly 50% of a tooth's structure lies below the gum. Even teeth that are nice and white and appear normal can have extensive pathology that can only be detected with radiography. 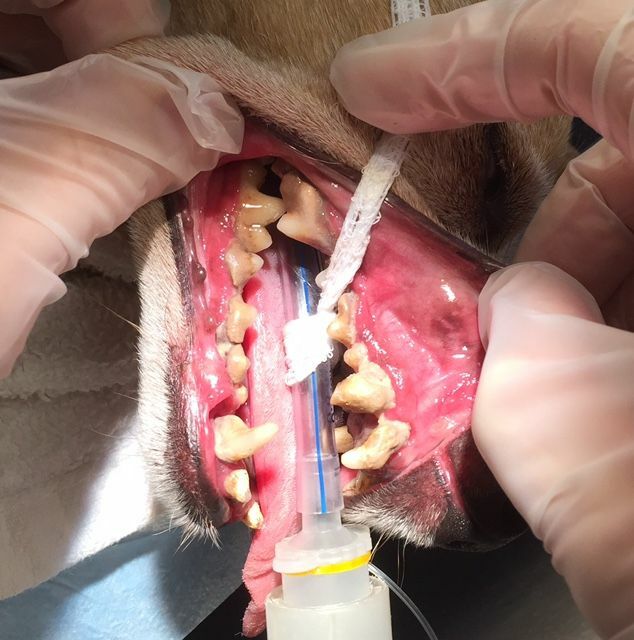 Dental radiography requires your pet to be under light anesthesia. The "camera" system is a small sensor that goes inside your pet's mouth while they are asleep and the imaging process takes about 20 minutes. The images are read instantly and notations are made in the chart to help the doctor treat your pet further. This is an example of a CR radiology system.